Learn about the basic principles that form the foundation of all hydraulic equipment. This section explains some of the key factors that should always be considered. 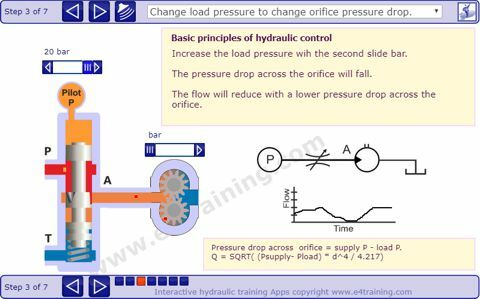 This module explains basic principles of hydraulic control. Understanding these parameters will help you analyse the performance of every hydraulic component. Fluid PRESSURE creates FORCE on a PISTON creates MOVEMENT against a SPRING. PRESSURE DROP across and ORIFICE creates FLOW proportional to the orifice SIZE. LOAD PRESSURE changes, affect the CONTROL PRESSURE. LEAKAGE results from small CLEARANCES between the SPOOLS and BORES. 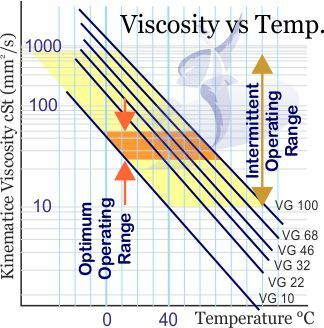 Dynamic SEALS reduce leakage but cause HYSTERESIS. Restricting VOLUME changes is used to control TIMINGS. All hydraulic machines are not the same, this module explains why. We look at the different performance priorities for a range of equipment. The relationship between hydraulic, pneumatic, or electrical drives. The differences between hydraulic systems on different machines. 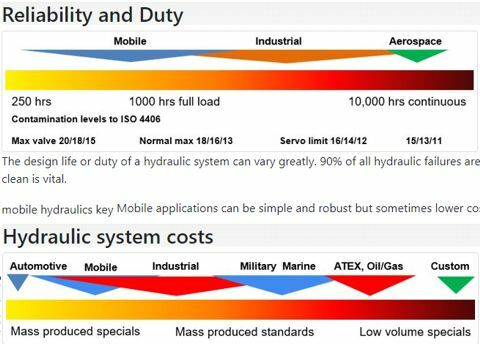 The different priorities engineers apply when design hydraulic systems. Common strategies used by hydraulic engineers to achieve their design priorities. This module provides an introduction to the basic symbols for hydraulic pumps, valves, and actuators. This is followed by a detailed review of all major hydraulic component symbols, explaining their features and also how the components work. 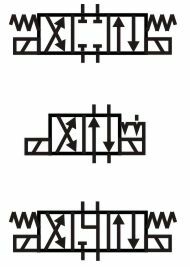 Explanation of the symbols in a simple hydraulic circuit. Access to a full review of all major hydraulic symbols. This module highlights the importance of minimising fluid contamination and discusses ways the fluid cleanliness levels can be controlled. Sources of fluid contamination - risk factors. This module looks at the key characteristics of hydraulic fluid including the different types available and how to keep them in good condition. This module will identify and explain some of the most important hydraulic design features that are common in every system. Applies to all fluid power sectors e.g. Industrial, mobile, machine tools, specialist machines etc. Contamination control is more critical for higher performance servo and proportional equipment but applies to all areas of hydraulics. Hydraulic fluid is the blood in every system and a vital component for maintaining a health equipment. Operating a range of hydraulic equipment. Maintaining a range of hydraulic equipment. Managing equipment that contains hydraulic valves. Design engineers should already understand these concepts but a refresh will make sure. Safety awareness is essential for EVERYONE working on or close to fluid power systems. Additional precautions will be required if you are carrying out maintenance activities of some kind. What and where hydraulic fluid power is used for e.g. types of machines and industries. Basic hydraulic circuit components and operation e.g. pumps, valves, and actuators.